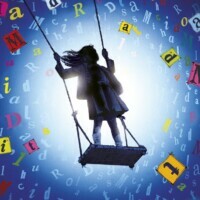 Matilda: the Musical, winner of a record-breaking seven Olivier awards in London, has opened to huge acclaim on Broadway, assuring the show of at least two further international productions. An RSC spokesman said on Friday that the company was “anticipating a $17m (£11m) advance by the end of the day,” to add to the $4m(£2.5m) taken at box office during its first five weeks of previews. Four American girls will take turns in the title role, although several actors have transferred to Broadway, also including Lauren Ward who plays Miss Honey. The show retains its Britishness, with the leads adopting a British accent. Such ecstatic reviews will raise hopes of success at the Tony Awards in June, and are being held up – like War Horse – as a success story for the UK’s system of subsidy, which is under threat from ongoing Arts Council cuts. It marks a triumphant return for the RSC, which hasn’t had a new show on Broadway since Peter Whelan’s The Herbal Bed at the Eugene O’Neill theatre in 1998. More recent New York transfers have played off-Broadway, notably the five play season it housed in the Park Avenue Armoury in 2011. It was announced yesterday that a further 250,000 tickets will be released after the weekend for the West End production, which has played at 98% capacity since opening in October 2011. The production, which recouped its £7 million investment within ten weeks, is now booking until May 2014 and its advance currently stands at £5 million. Such figures will more than counter the 15% real terms cut to the RSC’s Arts Council funding in 2011, which amounted to almost £1m. Having cancelled its annual tour to Newcastle for the last two years as a result, the RSC has reinstated the tradition this year and will return North in October. The RSC’s all-black Julius Caesar, starring Paterson Joseph, opened at the Brooklyn Academy of Music last night.